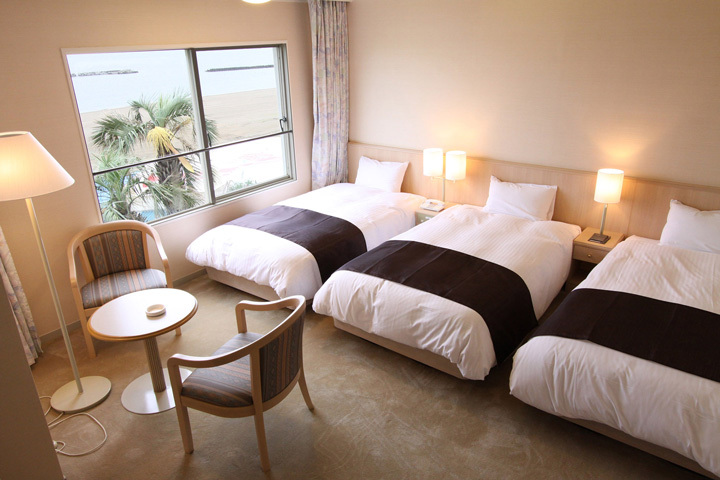 You can select one from 10 types of ocean view rooms. 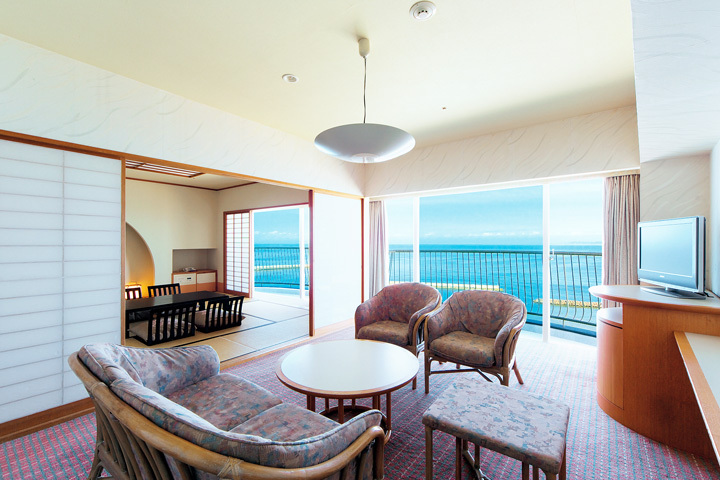 Enjoy your time at the resort in a comfortable space with relaxation and serenity provided by endless blue ocean. Amenities of SAMPAR, an aromatherapy and phytotherapy brand, are prepared for guests staying in the executive floor with a concept of "luxury resort". Have a luxury time with high-class amenities. 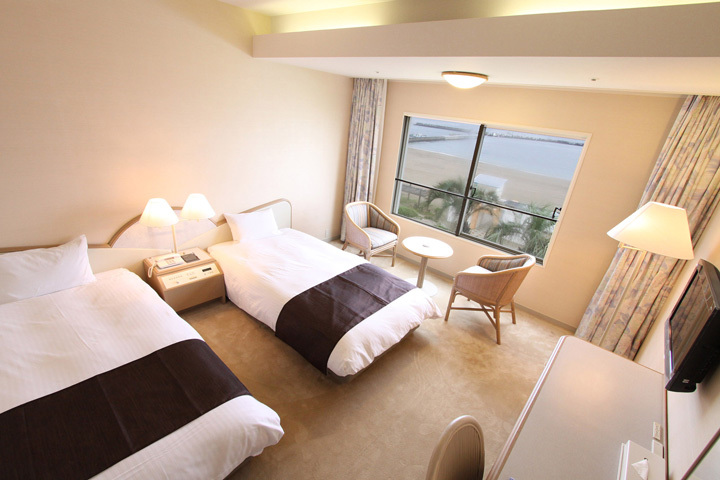 12.5-tatami-mat rooms, with a 16.3㎡ living room, are best for families with kids and groups. 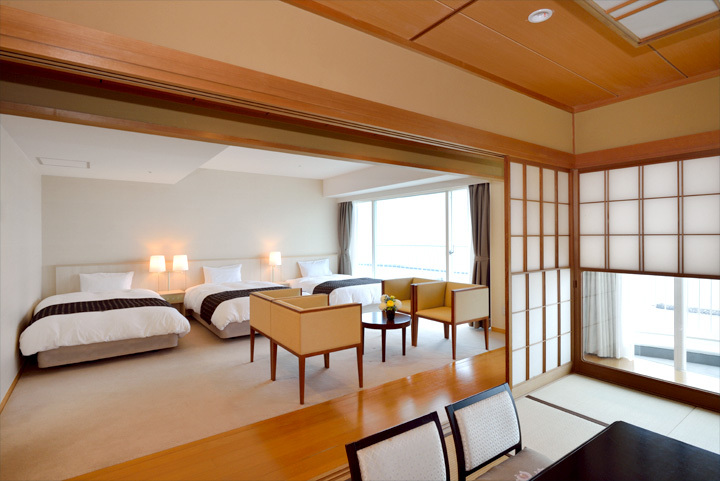 We are sure that you feel relaxed in the spacious space of a tatami-mat room and connected living room. 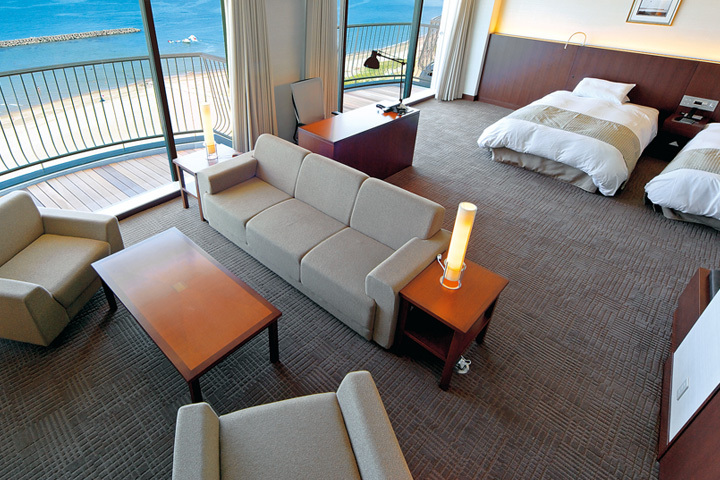 Japanese sprit is concentrated on the room for your relaxation. 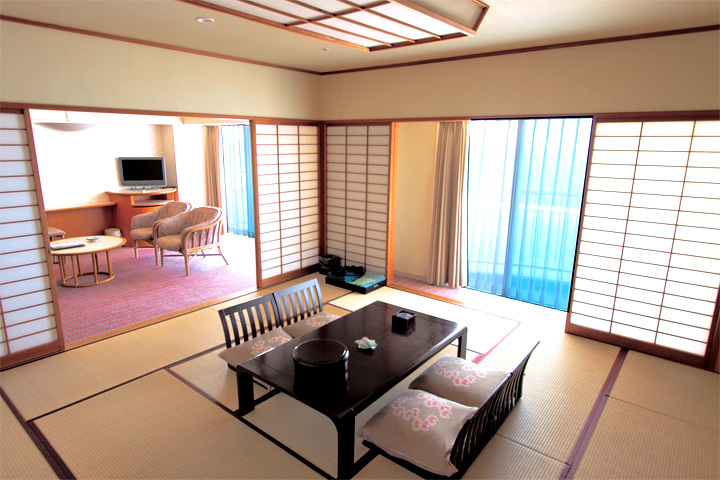 The room consists of a 10 tatami-mat room and a living room. A view of the sea from windows may stir your heart of a traveler. ＊Please kindly note the case that above items are not available, as we have a limited number. Thank you for your understanding. Please contact us when you do not need room cleaning and change of amenities, towels and sheets, and you get a voucher available in shops of the hotel.